Authoritative Parenting is one of three parenting styles identified by developmental psychologist Diana Baumrind from her 1960s research on preschool-age children and their families. This parenting style has clear behavioral expectations and boundaries, considers a child’s emotional needs, and communicates in a rational way that teaches instead of threatens. Children who are raised by authoritative parents are more likely to be responsible, well-behaved, academically successful, and socially accepted. Authoritative parenting is a great illustration of the success principle of choosing “both” instead of “either/or”, and opening up to abundance. You may be familiar with the other two parenting styles. On the strict side is authoritarian parenting, which tends to hold high expectations and demand blind obedience from their children. On the other end is permissive parenting which is very responsive to children yet places few demands or controls on them and neglects opportunities for guidance. While Authoritative Parenting is often described as a middle ground between those extremes, it’s not. When it comes to parenting, the middle is not a place of advantage. It’s a vague, iffy place that could go either way depending on the circumstances. I see Authoritative Parenting as incorporating the best of the other two styles and standing proudly with both. The authoritative parent is both warm and firm at the same time. 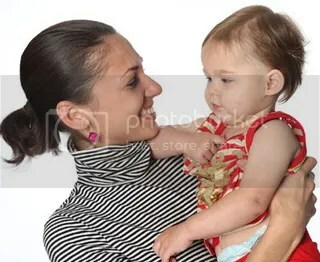 She nurtures her child’s mental, emotional, spiritual, and physical development, but she’s no pushover. She holds the boundaries of safety, social norms, and family values with the strength and dignity that comes from loving intention, instead of reacting from anger, shame, or fear. She turns mistakes into teachable moments, even when she is exhausted, and it would be easier to ignore it or just do it herself. This is a balanced, grounded, proactive style that is willing to put time, energy, and attention into raising a responsible child. Authoritative Parenting is not for wimps. This style reminds me of the Seal of the United States. If you are wondering what the Seal looks like, pull out your wallet. It’s on your money. You will find an eagle holding an olive branch in its right talon and arrows in its left. This symbolizes a desire for peace combined the ability to do whatever it takes to maintain its values and interests. Not many of us were raised by an authoritative parent, so it may involve some growth and learning to apply this approach with your kids. I knew I had to consciously integrate this style since I tend toward authoritarian. I wanted to choose my parenting style instead of inherit it. I chose to be an Authoritative Present Parent. You have a choice too, and I hope you choose “both” to be successful in your parenting, in your relationships, and in your life. This entry was posted in General and tagged Authoritative Parenting, child, Children, kids, mom, mother, parent, Parenting, parenting styles, Present Parent, Present Parent Training, Sherlyn Luedtke, Sherlyn Pang Luedtke. Bookmark the permalink.